Kampong Glam is a culturally-rich district with shophouses belonging to cafés, bars, and modern restaurants.While some voice concerns over the fading of Malay culture in Kampong Glam in favour for the emerging hip cafés and Middle Eastern restaurants, the multiculturalism of the area reflects the neighbourhood’s rich history. 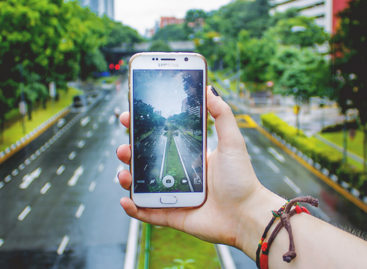 The area has long been a place where diverse cultures meet, and with its focus on food and culture, the area continues to thrive while attracting both locals and tourists alike and here’s our guide on exactly where to go! 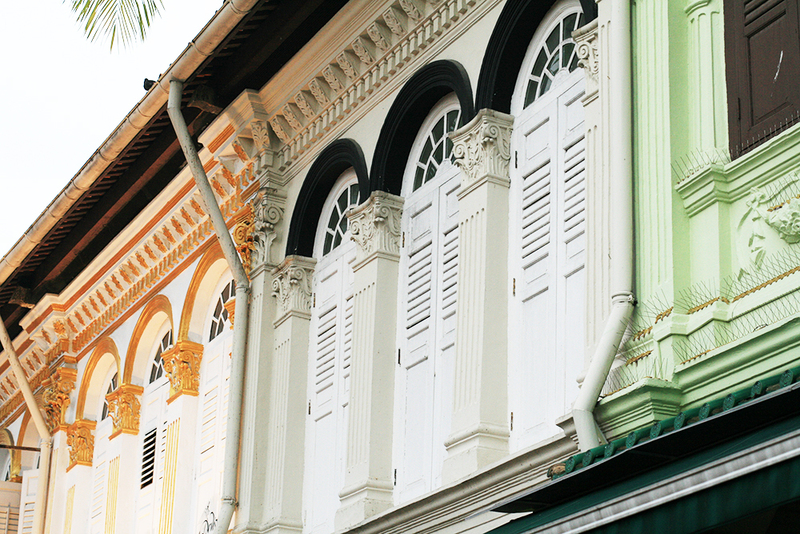 Kampong Glam has a long history with diverse cultural influences. Few know that Kampong Glam was originally located at the bay of the Rochor River and was a trade hub that bustled with diverse businesses including textile, spice, and perfume traders. Some of these remain, but most have given up their Peranakan-style shophouses to other businesses. 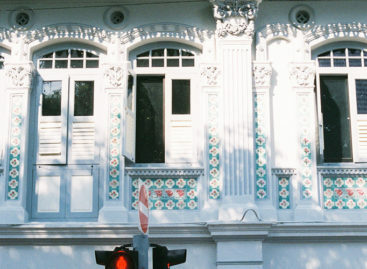 The Peranakan architecture of Kampong Glam. Kampong Glam became a Malay area after it was granted to the Sultan Mohammed Shah. Wishing to go on a hajj to Mecca, the Southeast Asian Muslims congregated around Kampong Glam to board ships taking them to the Middle-East. If there is one thing that sets Kampong Glam apart from other neighbourhoods in Singapore it is its vibrant atmosphere. If you come here during the day, tourists and locals peacefully roam the alleys between the shophouses in silence while the roosters crow in the distance—but at night, the alleys come to life with buzzing voices, upbeat music and the alluring scents of Turkish, Arab, and Malay food. Spend the afternoon strolling. Haji Lane Street Party – Ever so often, the local Mexican place Piedra Negra fills Haji Lane with crowds mingling down the alley, socialising and having fun over the sounds of loud beats. Haji Lane Street Party feels like a Latin festival right smack in the middle of Singapore. Unfortunately, it is not offered on a frequent basis, but when it is, lots of people show up to enjoy the atmosphere that truly encapsulates what Haji Lane has become today. Keep looking out on Facebook for the next street party—you will not want to miss it! Searching for carpets and fabrics? 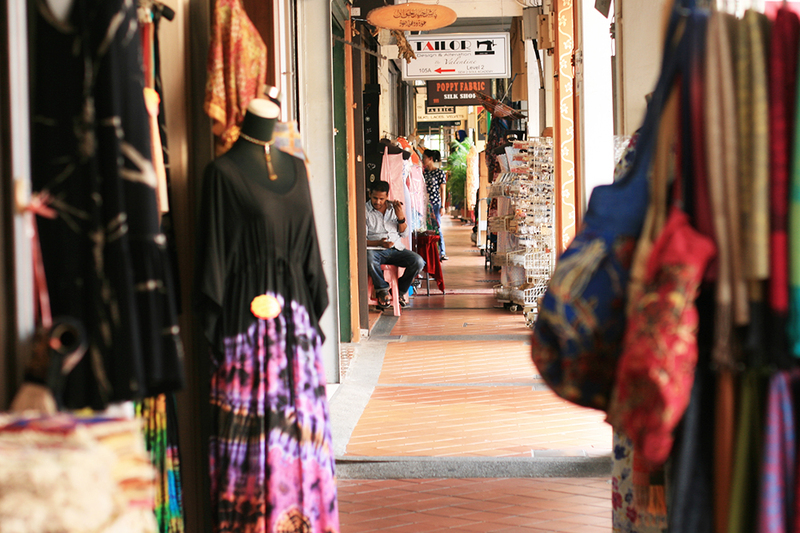 Look no further than Arab Street, where shops selling imported textiles from countries such as Turkey and Indonesia line the street. You can find beautiful Indonesian batik sold by the Arab Bashaharil Brothers (101 Arab St), or perfumes from Aljunied Brothers (95 Arab St), a store managed by the grandsons of the store’s founder. Singapore’s quintessential hipster street, Haji Lane, is full of small quirky shops selling everything from vintage dresses to household items. For beautiful homeware, look no further than Salad Shop (25 Haji Lane), where you’ll find pretty bowls and plates with geometric patterns. SSFW (35 Haji Lane) sells handmade Singaporean jewellery as well as imported accessories. 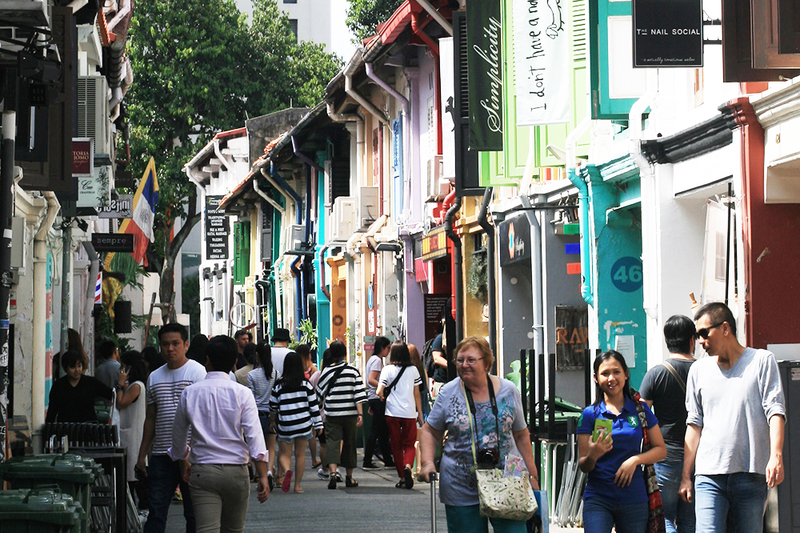 This ultimate guide to shopping at Haji Lane will help you find shops of interest. Jamal Kazura has several outlets in the Kampong Glam area which might attest to the popularity of their oil-based scents free from alcohol. Offering a wide selection of attar for both men and women, Jamal Kazura base their perfumes on natural products from China, India, and France. The staff can even help create a personal fragrance handmade for you. Singalang Jaya is operated by one of the few Malay tradesmen still operating in Kampong Glam. Among the last remainging songkok makers in Singapore, Baharuddin Sulaiman still practices the craft of making the traditional Malay headgear. Although most of the songkok at Singalang Jaya today are imported from Indonesia, they remain popular among Muslims and are of high quality. In an area where Malay establishments are increasingly being replaced by hip cafés, Hajah Maimunah is a traditional Kampong-style restaurant serving delicious Malay food. With mouthwatering dishes such as Beef Rendang and Ikan Bakar, Hajah Maimunah takes you back to Kampong Glam as it used to be. With its sleek design and modern menu, Hyde & Co epitomises the European café culture that is taking over Kampong Glam. Inspired by institutions in London, Hyde & Co has a wide selection of teas, popular brunch including Eggs Benedict, as well as artisanal waffles. We especially enjoy the butterscotch popcorn waffles, served with bananas and vanilla bean ice cream. If you want to eat where most locals go, Kampong Glam Café is your safest bet. Unlike many of the other cafés in the area, Kampong Glam Café serves local, Malaysian, and Indonesian cuisine at a cheap rate. Pick out your favourite Nasi Padang and sit down at the tables lining Baghdad Street while watching the golden dome of the Sultan Mosque glistening in the background. For people looking for an unusual dining experience, NOX Dine in the Dark is sure to deliver. As the name suggests, diners enjoy a fixed three-course meal in a pitch black room meant to simulate the experience of the visually impaired. The servers, who are visually impaired themselves, guide you through a dinner where you don’t know what you’re eating. Afterwards, you get to guess what you had for dinner before the menu is revealed—so you will truly see whether your taste buds are as well-developed as you think! Maison Ikkoku is a café well-known for its coffee. Apart from the classics, they serve specialty brewed coffee using different techniques, including cold brewing and vacuum processing. By night, the coffee is exchanged for drinks as the second floor of Maison Ikkoku transforms into a bar. Open Mon to Thurs 9am to 9pm, Fri to Sat 9am to 11pm and Sun 9am to 7pm. Another well-known Kampong Glam establishment is Zam Zam, a Muslim restaurant that has been in business since 1908. 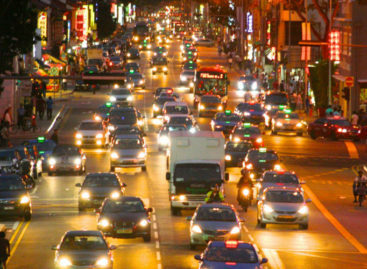 While the fluorescent lamps might not seem as inviting as the warm fairy lights found on Haji Lane, the smell of spices wafting through North Bridge Road should be enough to lure you in. 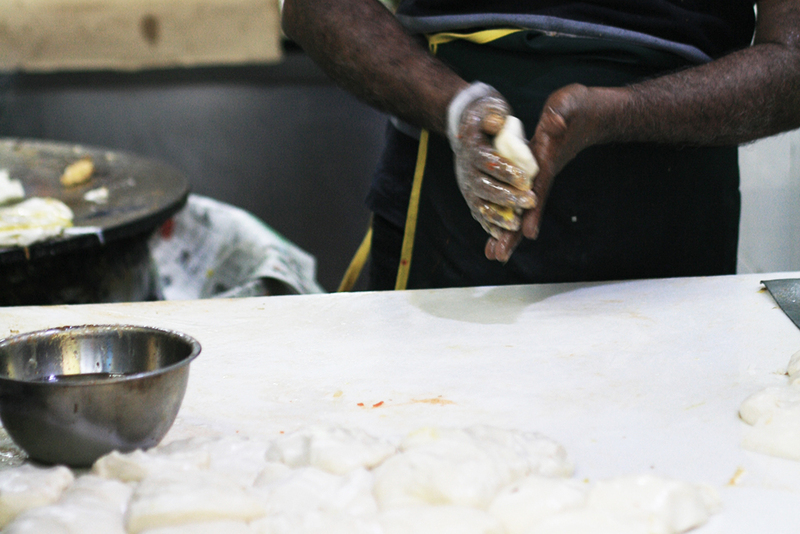 Their murtabaks are especially good, made with spicy masala wrapped in crisp dough and served with curry on the side. Located along Haji Lane, Bar Stories is a small gem hidden inside a shophouse where drinking is an experience unlike any other. Instead of providing a set menu, the bartender creates a drink to suit your palate. Just tell the bartender what you fancy, and they’ll whip up a gorgeous drink made with fresh juices and ingredients just for you. Inside a building covered in striking street art is Blu Jaz Café, a place to go for a good night out. Often arranging themed nights including specialities such as the monthly 90’s hiphop night, Blu Jaz Café attracts a young crowd looking for some unpretentious fun. 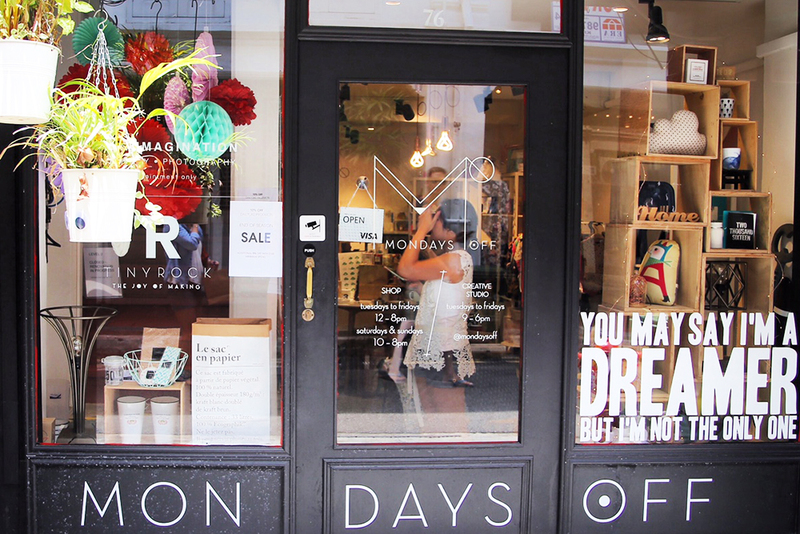 On the eclectic Haji Lane, it’s hard not to notice Going Om. The outside of this café/bar hybrid is lined with green plants and warm, inviting lights. If you want a place to avoid the bustling city streets of Singapore for a while, and just retreat into a holiday state of bliss, Going Om is the best place to visit in Kampong Glam. While the drinks are standard, you should come here for to enjoy regular live music and chill atmosphere. 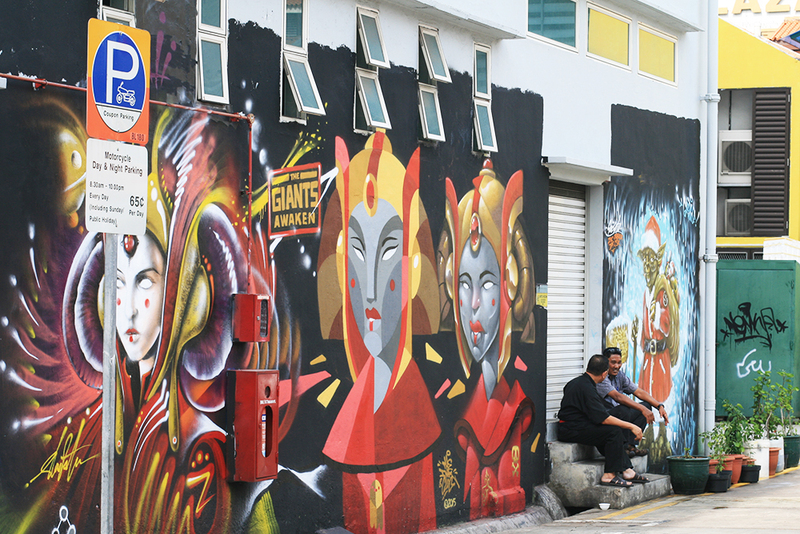 Housing several local creative collectives, Aliwal Arts Centre focuses primarily on performing arts. Run by a non-profit organisation, Aliwal Arts Centre helps carry the cultural heritage of the area on to the next generation. Events arranged by the centre range from traditional Chinese dance, to festivals such as the annual Aliwal Arts Night Crawl where free performances fill all corners of Kampong Glam. Consult their website to find current events. Right beside the heavy traffic on Victoria Street lies an abandoned Malay cemetery. Several of the graves belong to members of the royal family, including descendants of the sultans and was used as a royal burial ground up to the 1960s. 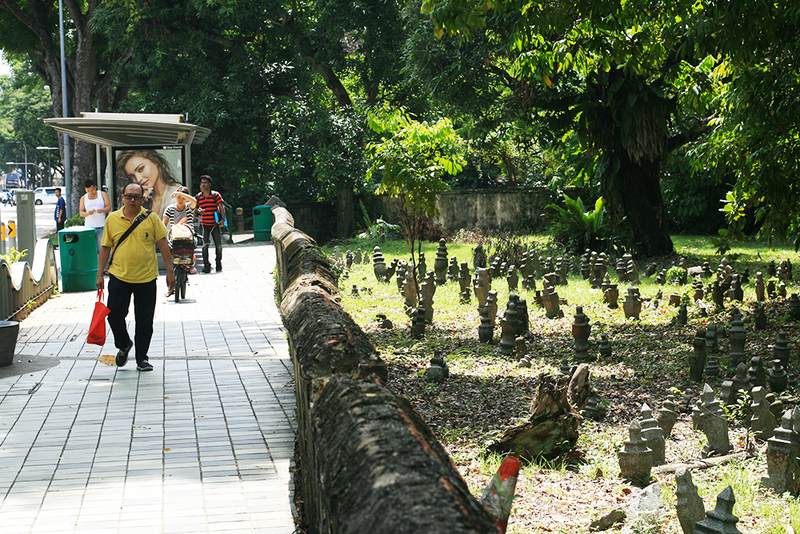 Nowadays, the cemetery is overgrown but remains an interesting place for those who want to learn more about the history of Kampong Glam and spend some time wandering under the tall trees. 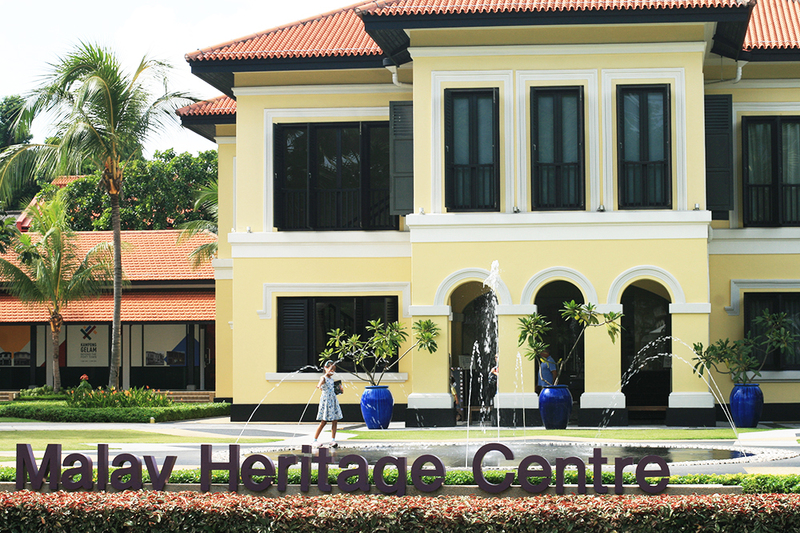 If you want to learn more about Malay history in Singapore, the Malay Heritage Centre is the best place to go. Housed inside what once was the Sultan’s brightly coloured palace, the Malay Heritage Centre features exhibitions and activities meant to enhance and preserve Malay culture in Singapore. For up-to-date information on upcoming exhibitions, the centre’s website is the best place to go. There is a small admission fee, but remains free for Singaporeans and Permanent Residents. The relaxing garden with its water display alone is worth a visit if you’re in the area—just remember not to bring any durians! You can also choose to join in on heritage trails that are organised regularly around the area as well. 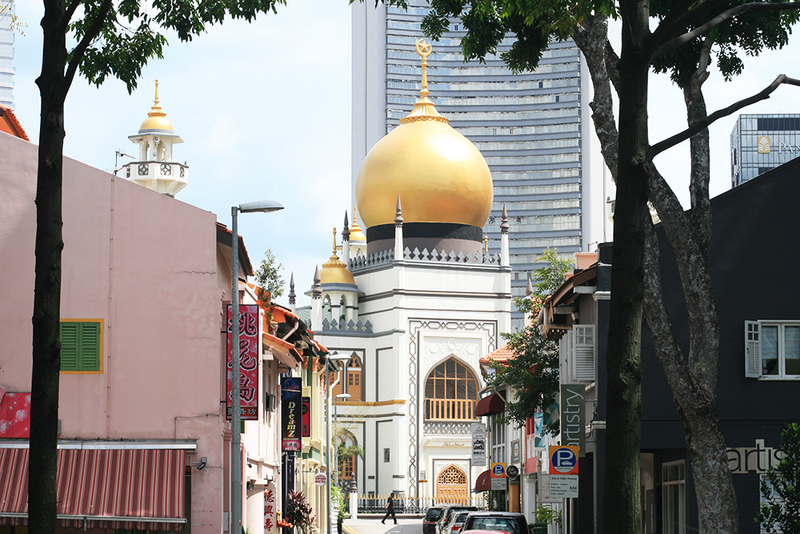 Arguably the most noticeable building in Kampong Glam, the Sultan Mosque with its golden domes spans several streets. The mosque has a long history going back to the early 19th century, but remains an active place of worship. The mosque is open to non-Muslim visitors for a few hours throughout the day, and is a place where you can admire Islamic architecture and learn more about the religion. If you ask, the staff can give you a guided tour.